The Gulf Cooperation Council (GCC), also known as the Cooperation Council for the Arab States of the Gulf (CCASG), was established on May 25, 1981. Establishing a common currency by 2010. The GCC Patent Office was approved in 1992 and established soon after in Riyadh, Saudi Arabia. Applications are filed and prosecuted in the Arabic language before the GCC Patent Office in Riyadh, Saudi Arabia, which is a separate office from the Saudi Arabian Patent Office. A GCC Patent cannot co-exist with a national application in any of the member states, therefore, a national application must be relinquished within 90 days of filing the GCC Patent Application. 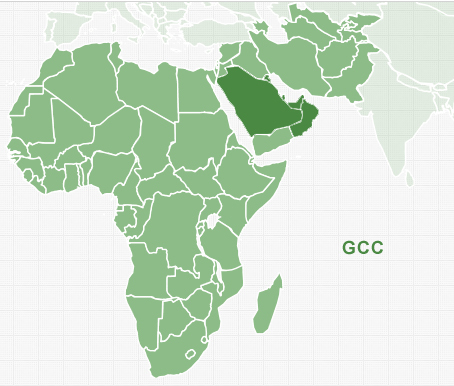 A GCC common market was launched on January 1, 2008. The common market grants national treatment to all GCC firms and citizens in any other GCC country, and in doing so removes all barriers to cross country investment and services trade. A customs union was declared in 2003, but practical implementation has lagged behind. Indeed, shortly afterwards, Bahrain concluded a separate Free Trade Agreement with the USA, in effect cutting through the GCC's agreement, and causing much friction. Kuwait, Saudi Arabia, Bahrain and Qatar on December 15, 2009 announced the creation of a Monetary Council, a step toward establishing a shared currency. The board of the council, which will set a timetable for establishing a joint central bank and choose a currency regime, will meet for the first time on March 30, 2010. Kuwaiti Foreign Minister Sheikh Mohammed Sabah al-Salem al- Sabah said on December 8, 2009 that a single currency may take up to 10 years to establish. The original target was in 2010. Oman and the UAE later announced their withdrawal of the proposed currency until further notice. Amidst the 2011 Bahraini protests, Gulf Cooperation Council forces from Saudi Arabia and the UAE were sent to Bahrain in March 2011.